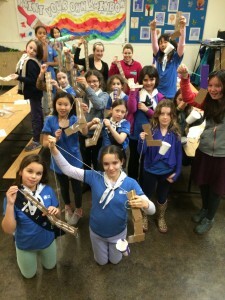 eng-cite is excited to host an Engineering Badge Day for Girl Guides in the Metro Vancouver area! We will provide hands-on activities and projects so girls can earn their Girl Guide Science & Technology: Engineering Badge. * If you have a boy that is interested in similar programming, we highly encourage you to explore Geering Up and UBC Engineering events. For more information – please refer to the West Coast Area Girl Guides: Program website. Forms will be e-mailed to all registered participants. Complete the SG2, H1, and waiver forms. It is very important to list TWO emergency contacts and attach a photo to the H1 form. When your forms are received, you will get a confirmation of registration by e-mail.